Last week I had the opportunity to spend several days on the Texas coast. My base was Rockport, Texas, and I was free to shoot in the mornings and evenings. I was blessed with amazing light nearly each time I ventured out. Rockport was officially established in the 1870s as a shipping port. Its beginnings still are seen, but in today’s world, Rockport sees more tourists than shipping vessels. Also, shrimp boats pull into the harbor at Rockport each morning to unload their nightly catch and feed the hungry gulls that fly around overhead. Just down the road lies Rockport Beach, offering sand and shoreline for tourists and locals alike. You’ll see a large blue stone crab – a monument to honor the area’s local resident (the blue crab) as you enter the beach area. Just a bit further into the beach, you’ll see a sign shaped like a huge oyster shell announcing your arrival in Rockport. The town is quirky, and if you hit the right establishment, you’ll find the seafood quite tasty. Our favorite when in town is Charlotte Seafare Plummer’s Resturant. I’m sure you’ll find better, but this is good for our tastes. But back to the photography… here are a few Rockport images from my days there. I hope to return soon. I know my little girls loved building sandcastles, as well! 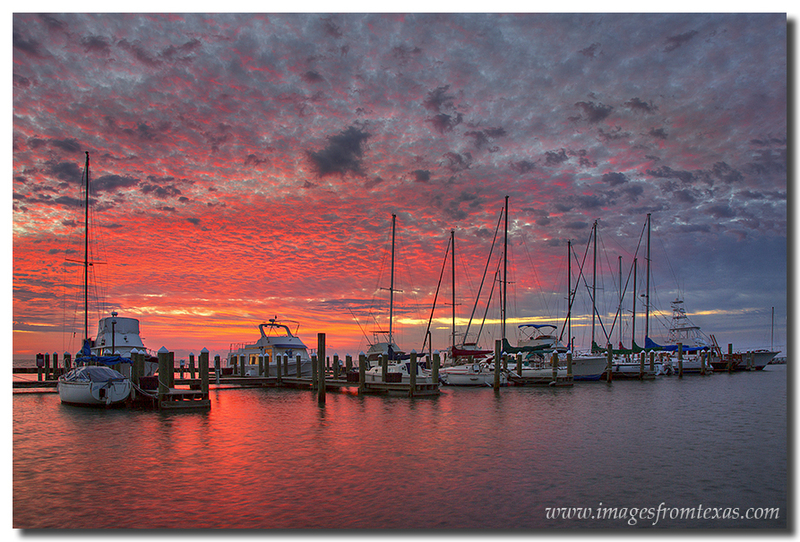 Sunrise over Rockport Harbor along the Texas Gulf Coast can be magnificient. 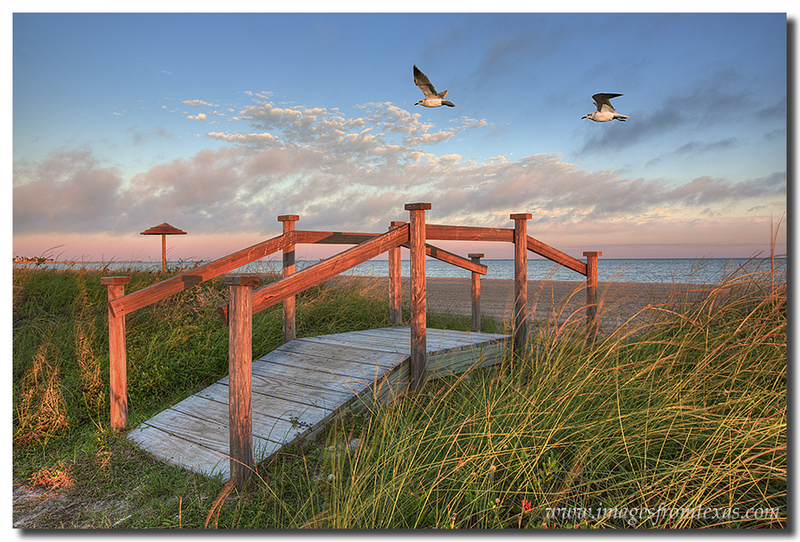 It took patience to capture these gulls along Rockport Beach on a cool October evening. For more Texas Coast images, please visit my Texas Gulf Coast Gallery. I also invite you to follow my photographic adventures on facebook.